• Article 21 of the CPE of Bolivia guarantees that all Bolivians have the right to freedom of assembly, association, expression, information, permanence and circulation throughout the territory. WITH HIS TYPICAL FINGER INDEX IN HIGH, PRESIDENT EVO MORALES AFFIRMED IN LA ASUNTA THAT IF HE WERE A COCA GROWER OF THE YUNGAS, HE WOULD EXPELL BY KICKING HIS CONTRARIES OUT. 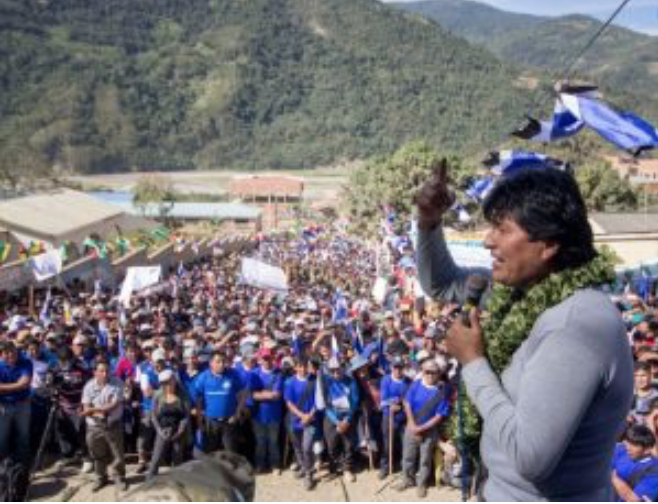 In recent weeks, from President Evo Morales to some leaders of the Movement to Socialism (MAS), in different regions, they issued warnings against the groups and citizen platforms that campaign for the “21F and Bolivia said No”. The president yesterday asked the peasants of the Yungas to violently expel the activists who demand respect for the Political Constitution of the State and from Santa Cruz the leader of the MAS, Rolando Cuellar, warned that he will burn flags and T-shirts of the 21F. “I am informed, we are informed. Here they are coming to Yungas former vice-ministers of ADN, of (Hugo) Bánzer and of Goni (Gonzalo Sánchez de Lozada) to confuse with political workshops and seminars. If (I) were (a) coca grower of (the) Yungas, would remove them by kicking them out from here (to those people) because they have no moral, no authority to be confusing,” Morales harangued, in the act of delivery of a school in La Asunta (Sud Yungas). The president also said that a political party “is paying some young people” to carry 21F posters. That is a “shame,” said the first State authority. He asked all his followers not to be confused with the opponents or some radical and violent groups that even wanted to expel municipal authorities from the government party. “Grassroots brothers, from different social sectors, we can not be confused by the so-called neoliberals or the right, I hope they do not get upset, but I was very worried when they informed me that even the Mayor (of this region) could not work,” he asserted. 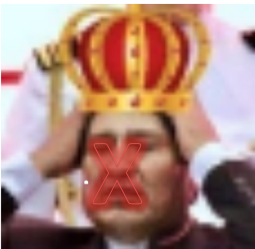 Meanwhile, the leader of the MAS, in Santa Cruz, Rolando Cuellar, warned that he will not allow activists and citizen platforms to campaign against the repossession of Evo Morales and said that he will burn all the flags and t-shirts with the legend of 21F and “Bolivia said No”. The warnings of the oficialismo against the citizen platforms were rejected by the aforementioned, who assured that the defense of the 21F will be permanent, even more so with the campaign against which the MAS began. Article 21 of the Political Constitution of the Bolivian State guarantees the essential freedoms for Bolivians.